Lap band California procedures are some of the most advanced in the world. Physicians in the Los Angeles area are especially experienced with this type of surgery. 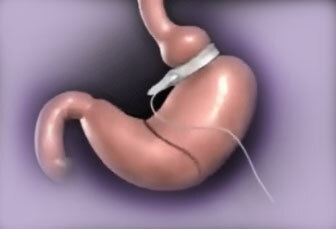 The gastric banding belt has been approved by the FDA and truly helps those with obesity lose weight by adjusting the anatomy of their stomach. Lap band California medical facilities like the Beverly Hills Comprehensive Weight Loss Center have all the latest equipment and technology needed for performing this weight loss surgery with minimal risks. Patients must undergo a diet while wearing this band, but it will modify the size of their stomach so that they will feel less hungry. California patients can expect to lose around two pounds a week, as long as the band is effective and they are able to stick with their diet. A good lap band California doctor, like Dr. Feiz, will be able to help each patient understand how the procedure works. The great thing about lap band surgery in California is that it can be done in an outpatient setting. It’s a less complicated procedure than other surgical weight loss procedures. Unfortunately, as with all medical procedures, this one does have risks, making the choice in the right lap band California surgeon to be extremely vital. Obviously, those interested in lap band California procedures need to do careful research on various surgeons and their success rates. There are some great benefits that our California lap band patients love - this kind of weight loss surgery will help a patient lose up to 50% of excess body weight over a two or three year period. Most lap band California patients see the majority of their weight loss occur within the first year, which is wonderful for people who have struggled with weight their whole life.